National Meat Week 2019 begins on Sunday, January 27th! At 3C Software, a substantial amount of our customers are not only in the food and beverage industry, but are also meat processors. 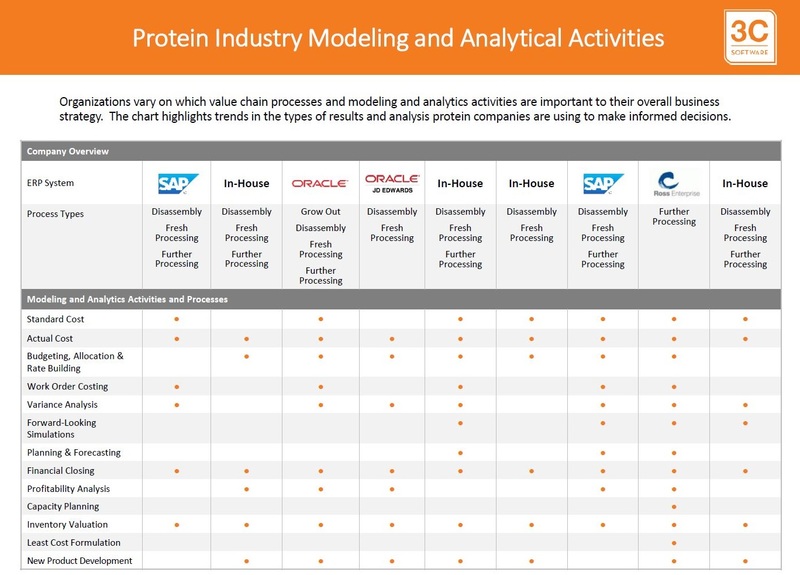 Our protein processing clients leverage ImpactECS for their costing and profitability analytics. 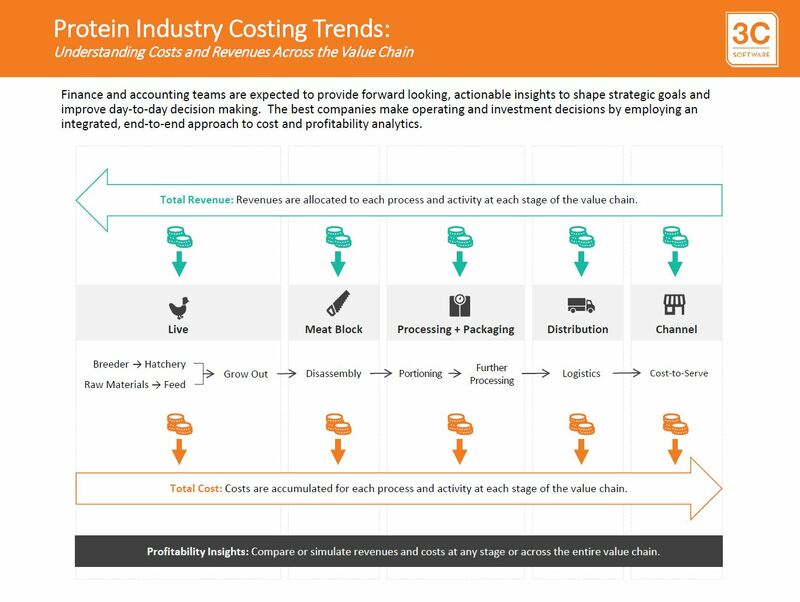 Unlike traditional manufacturers whose main focus is in assembling products, protein processors must also consider costs involved with disassembling products. Because most ERP systems are designed with only assembly in mind, these companies need a costing solution flexible enough to accommodate both processes. In the meat industry, understanding your revenue, costs and profits is critical to remaining competitive. With ImpactECS, finance teams are able to connect existing data from ERP and finance systems, manufacturing systems, data warehouses, or wherever data lives in their organization with business rules and assumptions to calculate the answers needed to both understand past performance and predict future outcomes. ImpactECS connects existing data and systems to calculate detailed product costs and variances, determine profits by product or customer, run simulations for planning, value inventories, or other important analytics activities. 3C Software’s track record in providing customized costing solutions to leading meat processors like Tyson Foods, AdvancePierre, Fieldale Farms, Smithfield Foods, Keystone Foods, and others, makes ImpactECS the best choice for an integrated, end-to-end approach to cost and profitability analytics in the industry. Learn more about how ImpactECS helps food and beverage companies to effectively manage costs and profitability for actionable results, Start Here!